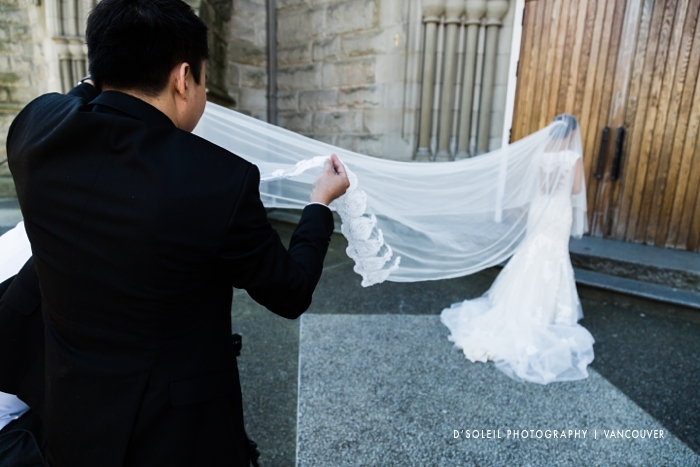 One of the most beautiful church weddings in Vancouver is a Holy Rosary Cathedral wedding in downtown Vancouver. 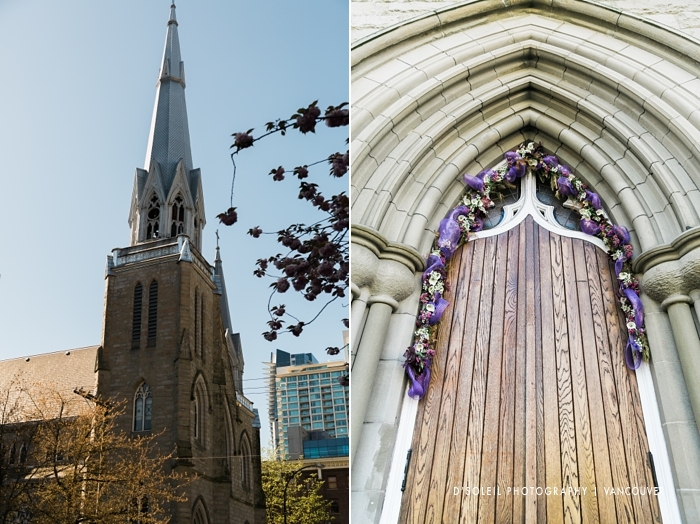 It is one of Vancouver’s oldest and iconic Catholic churches. 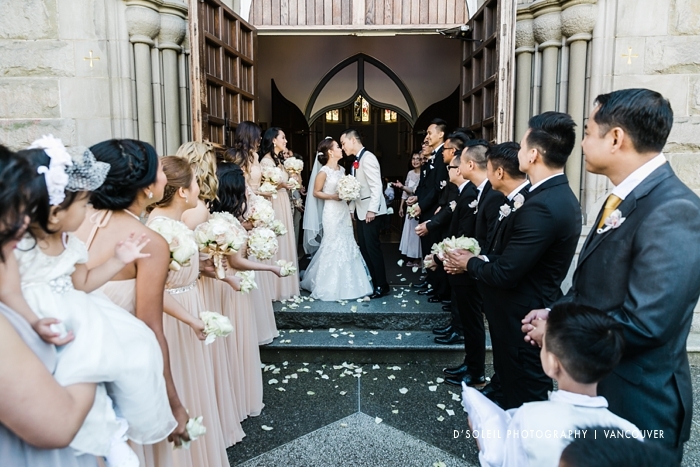 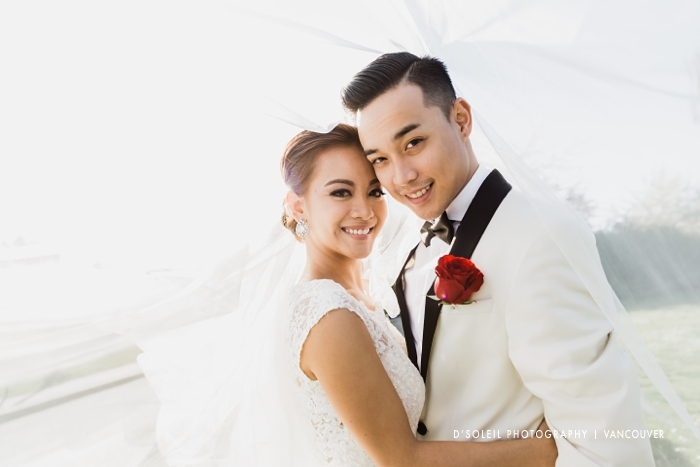 Every year, many Catholic couples choose Holy Rosary Cathedral not only because it has the big church wedding feel, but it is still one of the most ornate classic Catholic venues left in Metro Vancouver. 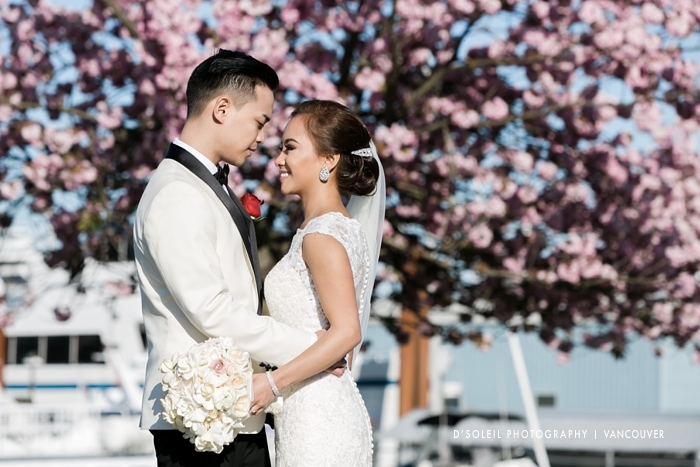 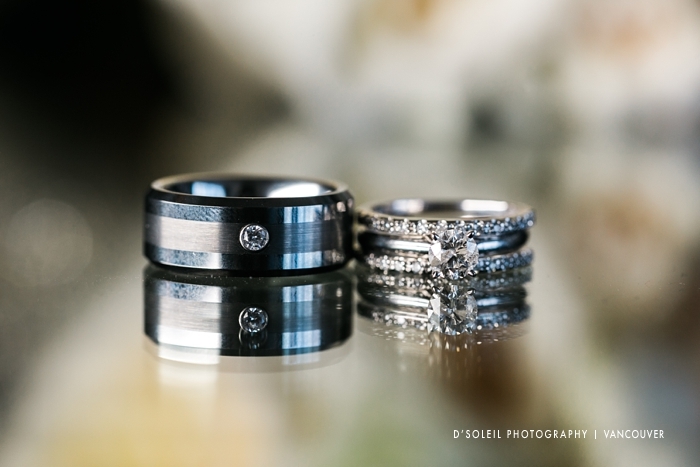 It is no wonder that Donna + Gab chose this venue for their wedding ceremony this past Spring. 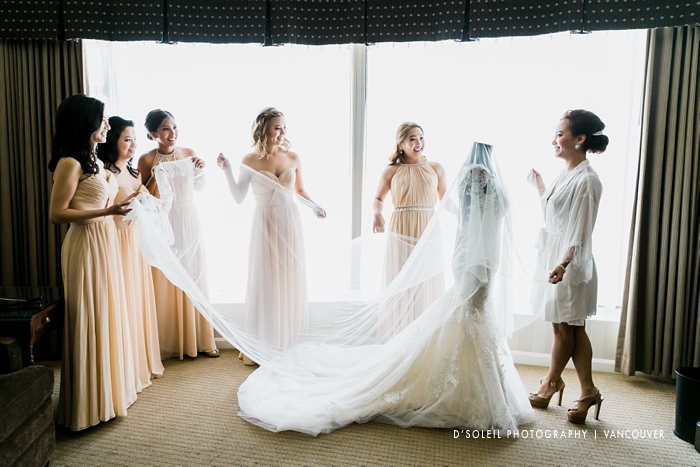 Their wedding day started at the Sutton Place Hotel near Robson Street and Burrard in the heart of downtown Vancouver’s retail district. 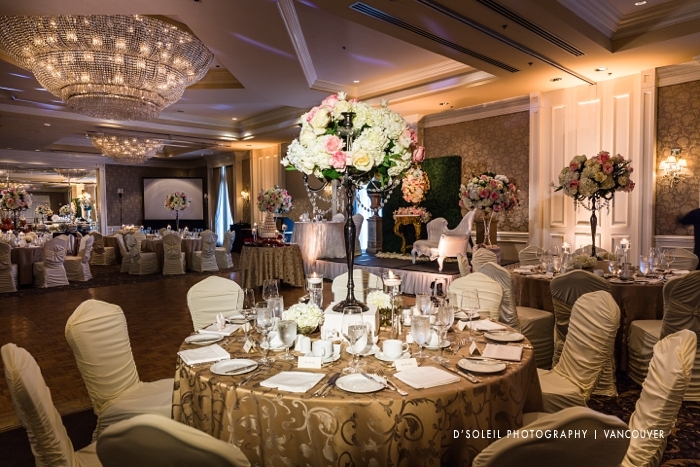 It is one of the venues of choice for wedding parties that want to be as close to the centre of downtown as possible. 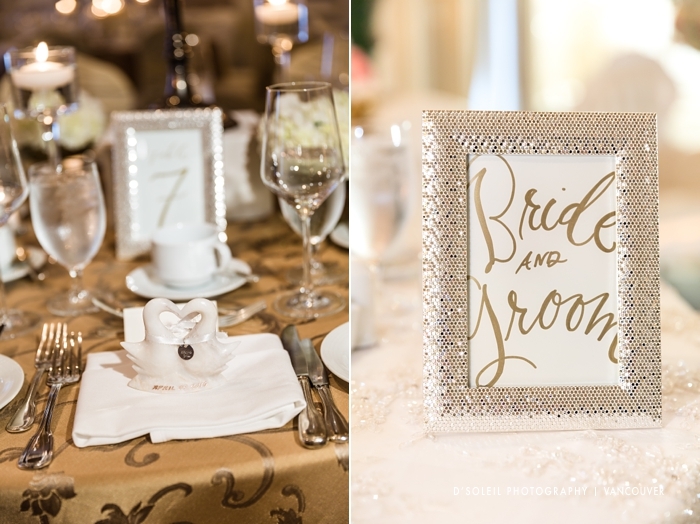 The suites are large and elegantly decorated, and the ballroom features a posh features. 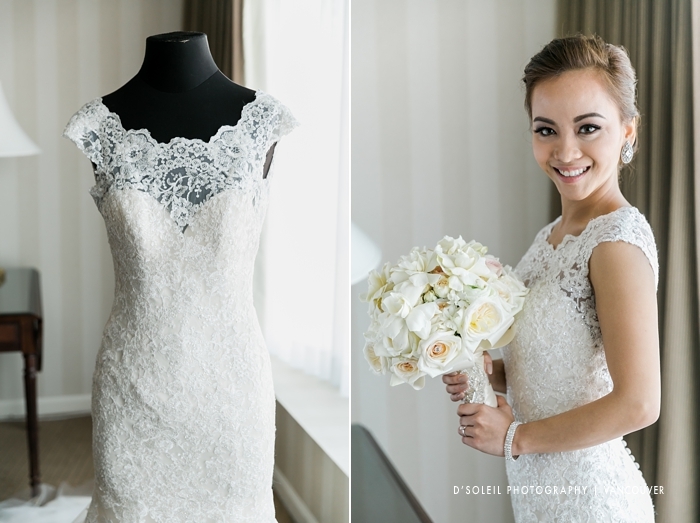 Donna’s wedding dress was beautiful and intricate – a timeless dress for a timelessly beautiful bride. 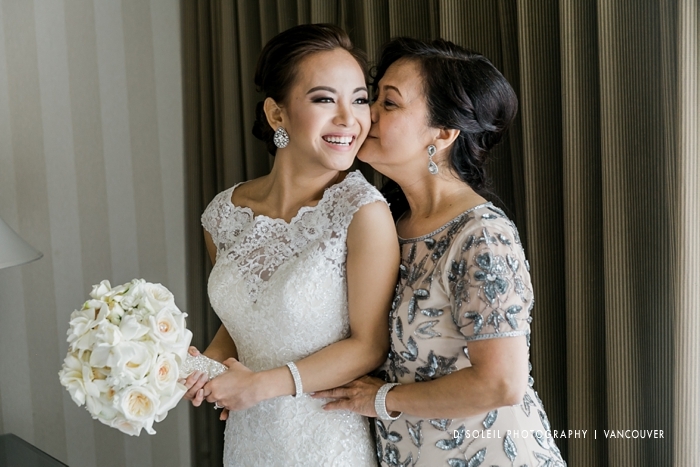 The photo of her mom giving her a kiss before leaving for the Holy Rosary Cathedral wedding ceremony was one of my favourite. 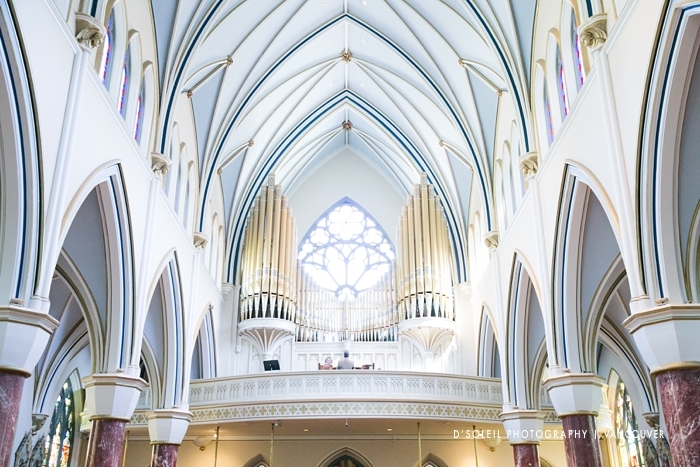 Being inside the Holy Cathedral takes you back to another era when church interiors were incredibly ornate. 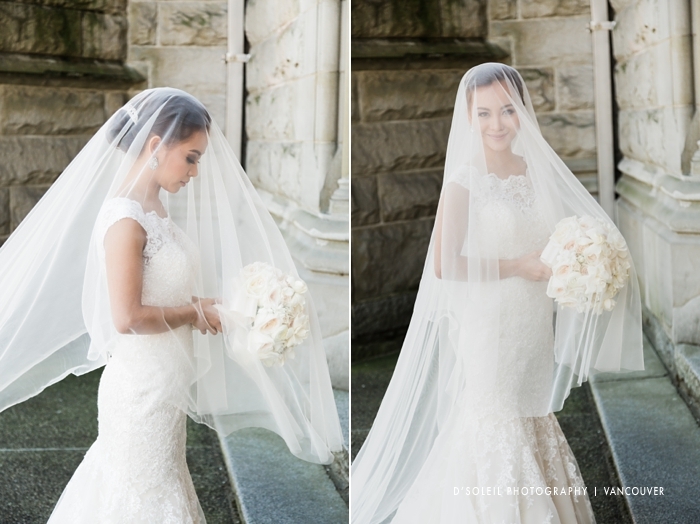 I’m always in awe at how builders back then put up these amazing buttress ceilings. 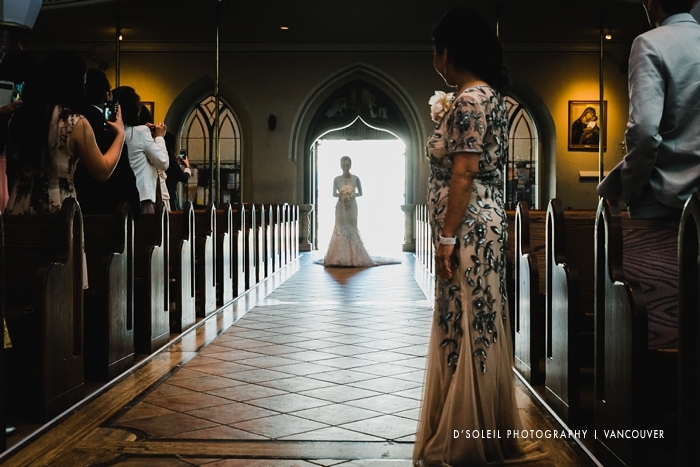 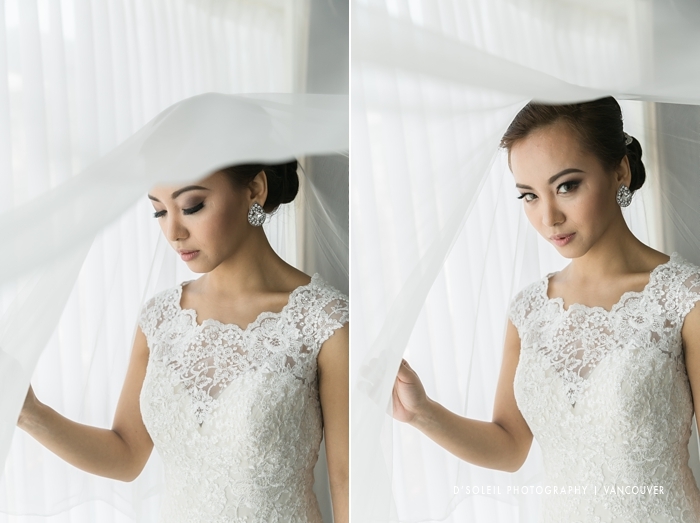 When donna arrived, she waiting until all the guests were seated before making her grand entrance into the Holy Rosary Cathedral wedding ceremomy. 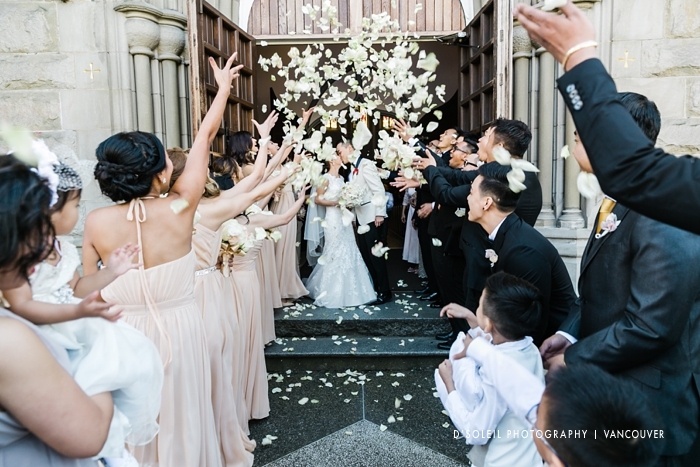 After the wedding, the wedding party showered the couple with white rose petals. 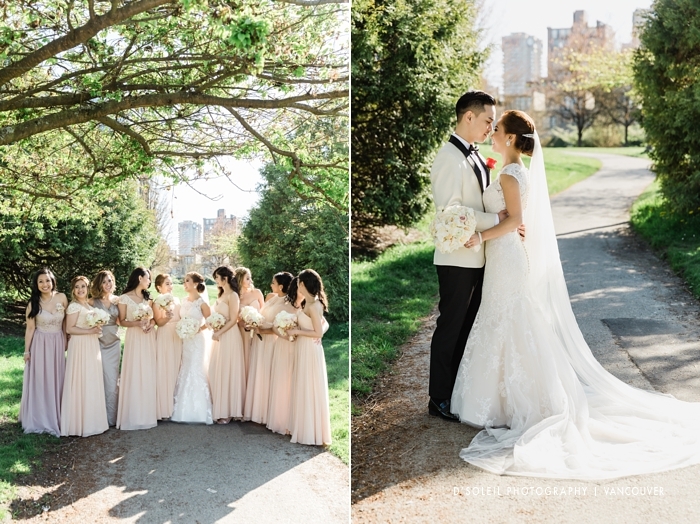 We later drove to Stanley Park for wedding photos. 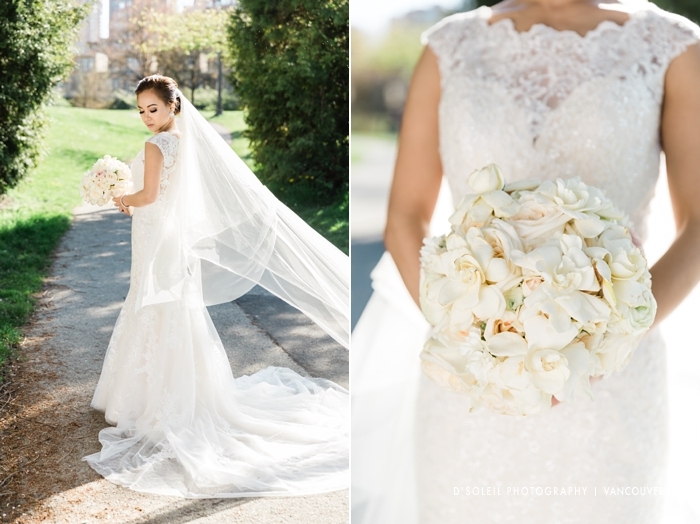 I chose this location for their photos because it had beautiful light and offered a peak of the city in the far distance. 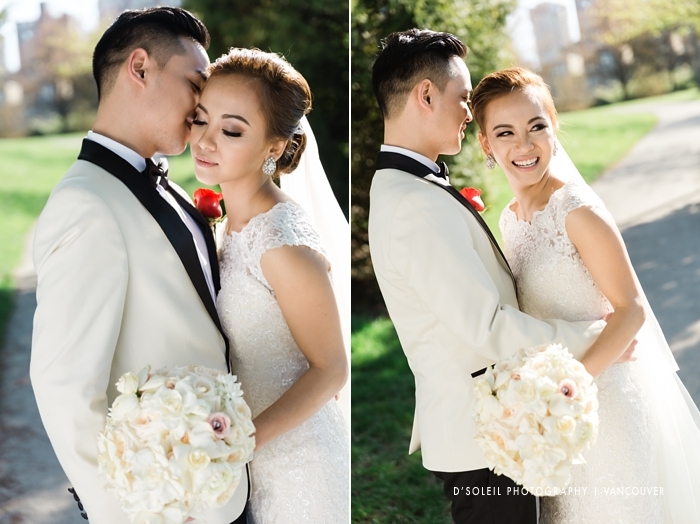 It was the perfect location for producing an urban park feel reminiscent of other famous urban parks such as Central Park in Manhattan, and Tuileries Garden or Parc de Belleville in Paris. 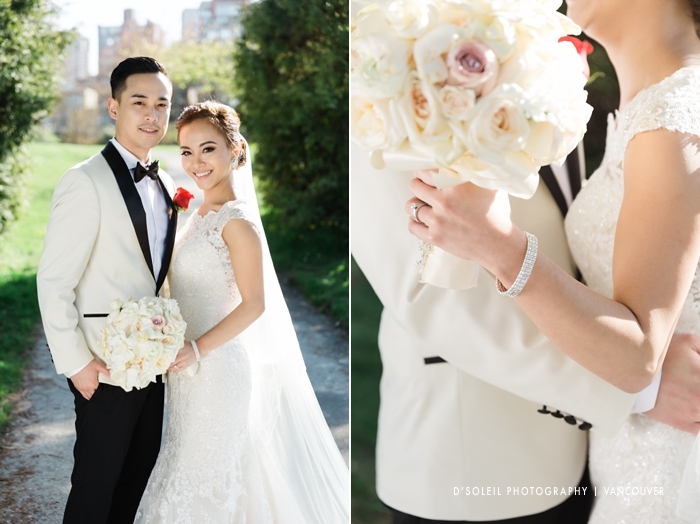 CC Roa did an another amazing luxury wedding bouquet creation for Donna. 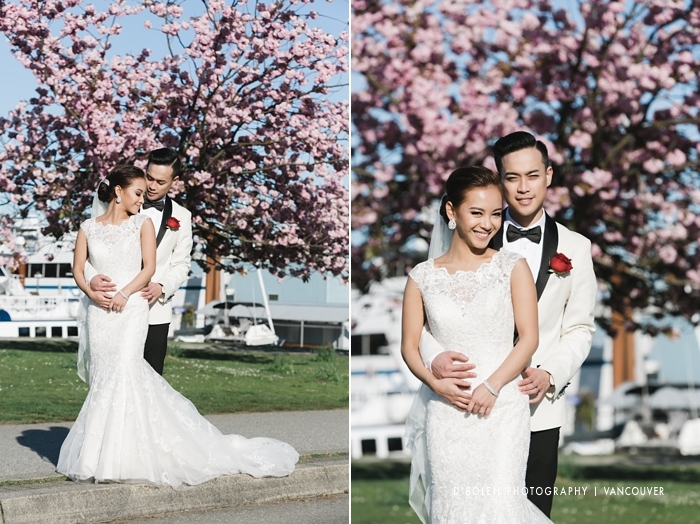 We still had cherry blossoms in the Spring, so we just had to get in a few photos with a couple of Vancouver’s most beautiful Cherry Blossom trees along the harbour sea wall. 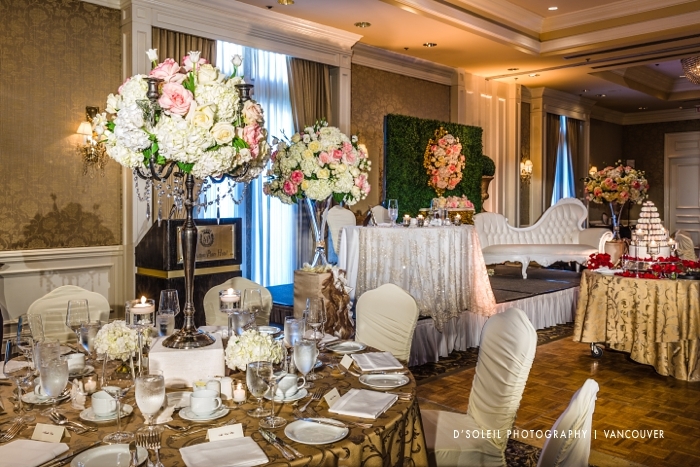 When it was time to return to the Sutton Place Hotel for the wedding reception, our jaws drop to the floor seeing the beautiful luxury decor Roa Luxury Floral Event Designs put together. 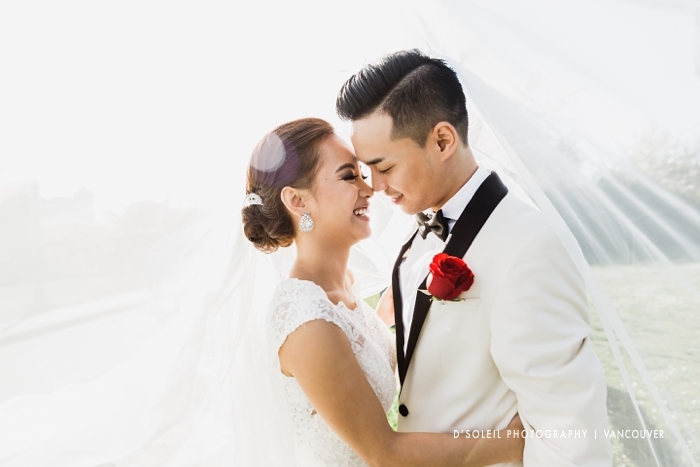 It was stunning and so memorable for the bride and groom. 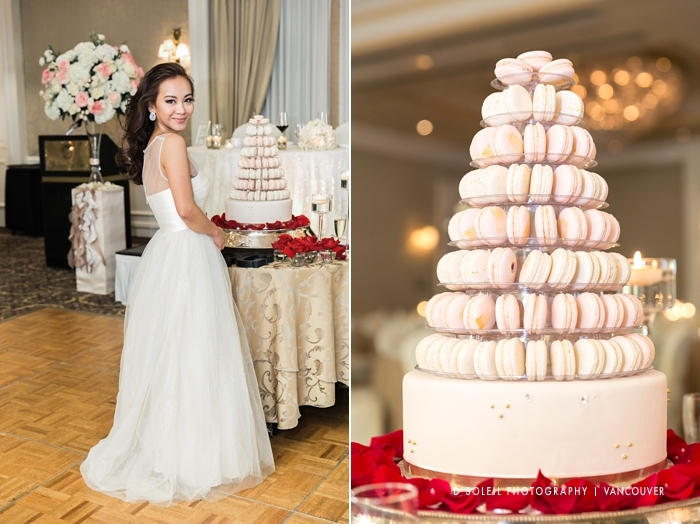 For a wedding like this, the perfect cake was macaroon wedding cake. 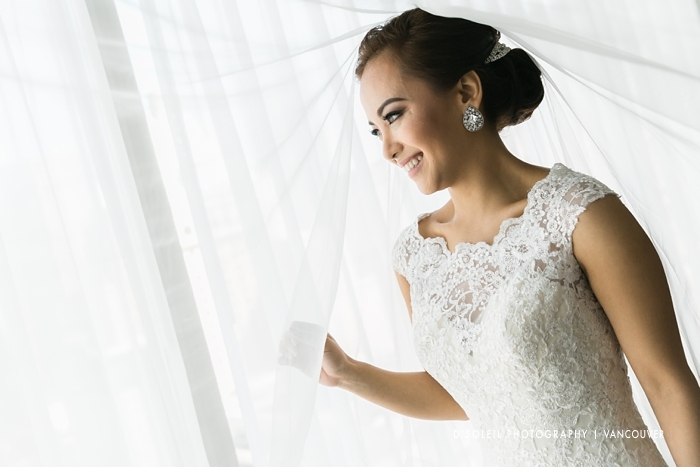 It was an amazing day altogether. 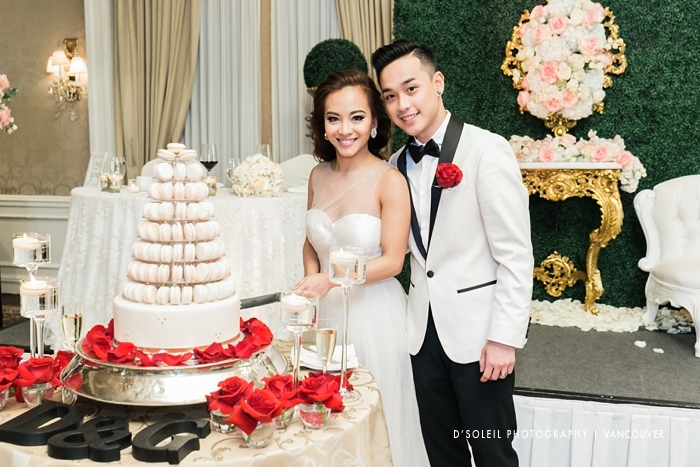 The performances and dances that took place following the dinner reception was incredibly entertaining and memorable for all the wedding day guests. 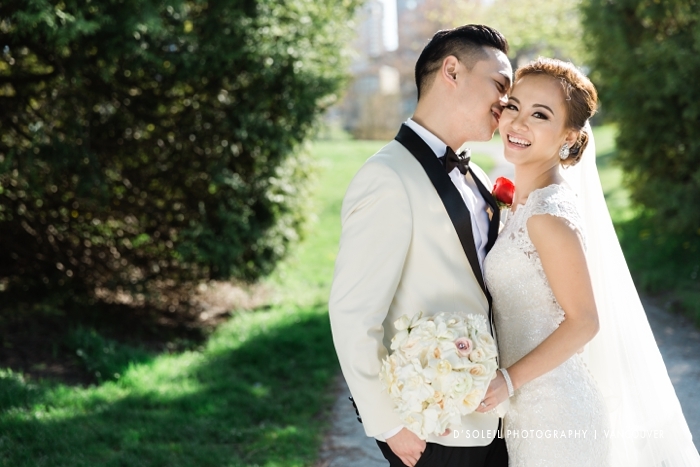 Congratulations and Donna and Gab on an amazing wedding day!